At HootSuite, we often find our dashboard playing a role in the midst of world affairs; from the Egyptian revolution to earthquakes in Japan, the use of social media has proven to be a key communication tool in times of crisis. Civil unrest continues in North Africa, and as we follow the developments, we also hear concerns that using the common Top Level Domain suffix reserved for Libya (.Ly) tacitly supports the current governing regime. We acknowledge these concerns and can assure you that your data is safe and not contributing to nefarious activities. 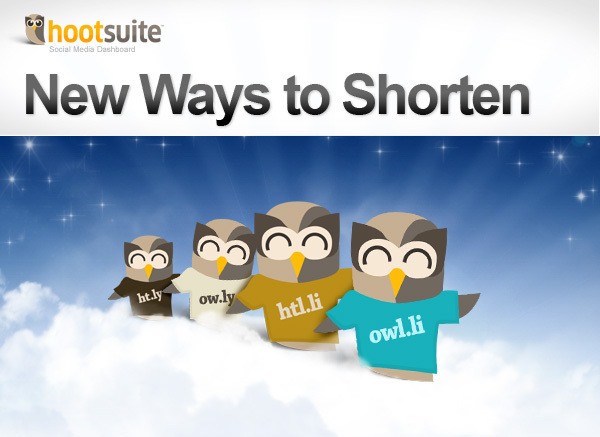 To best meet your needs and mitigate your concerns about perception, HootSuite announces 2 new options for URL shortening: Owl.li and Htl.li. The new domains (hailing from Liechtenstein) work the same way as Ow.ly and Ht.ly including tracking clicks for statistical analysis, plus, like Ht.ly, Htl.li offers the social bar to encourage your audience to share your content. We’ve mapped out the relationship between the Libyan domain name servers and the rest of the Internet in an infographic to help clear up any confusion about how data travels from servers to your screen. Any Liechtensteinian HootSuite fans in this small (and apparently rentable) country? We’ve got a #Hootkit to mail to your Liechtenstein postal address. 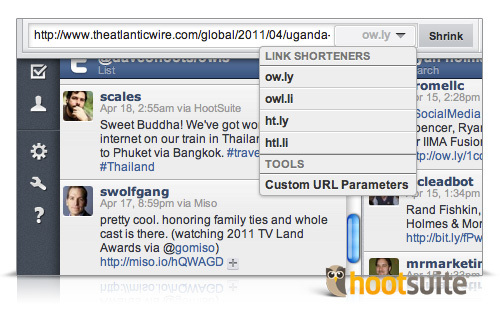 Aside from the aforementioned choices, HootSuite offers custom/vanity URL shortening services. Using a unique domain is a great way to increase brand awareness while still utilizing powerful analytics. Pro users can choose to purchase this option in Settings > Preferences > URL and following the instructions. Enterprise customers should contact their Account Executive or complete the form at: hootsuite.com/enterprise. Credit: Thanks to Dustin Borek (@dborek) at Invoke Media (@invoke) for designing the infographic.